These three reforms -- automatic voter registration, an end to voter ID, and an end to felon disenfranchisement -- are hugely important. (Clinton also pushed for an expansion of early voting and making election day a holiday, no doubt significant reforms in themselves.) 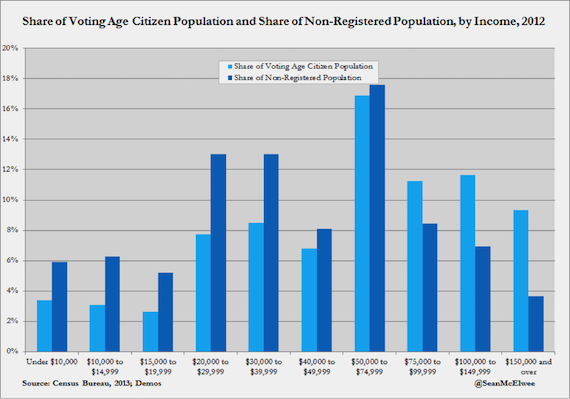 A new study by Michael McDonald, Enrijeta Shino and Daniel Smith suggests that reforms that make voting easier (like early voting) increase turnout, while those that make it more difficult (like voter ID laws) decrease turnout. 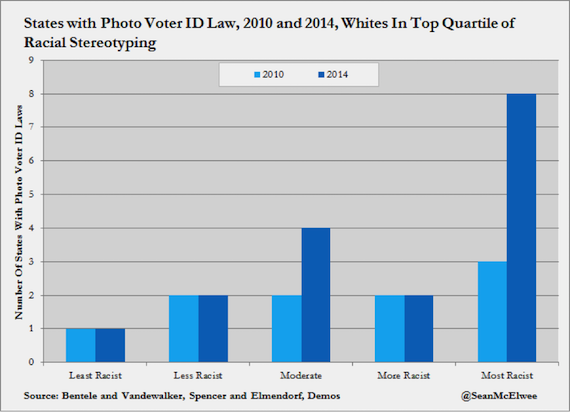 This is important because there is growing evidence that conservatives are using voter ID laws to suppress low-income and Black voters. In an investigation of what caused voter turnout to decline between the 1960s and the 1980s, political scientists Steven J. Rosenstone and John Mark Hansen find that a decrease in voter contacting accounts for half of the decline in turnout. The problem is, in the status quo, mobilization is biased by class. 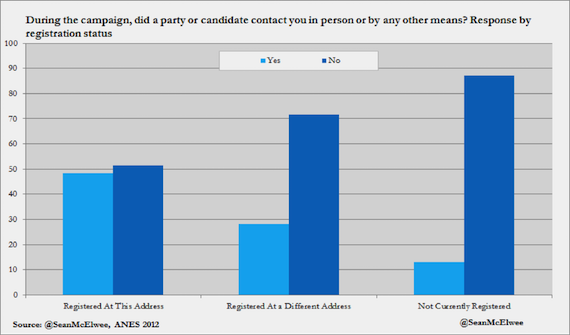 In her study of mobilization between the 1956 and 2004 elections, Andrea Louise Campbell finds that “both the Republicans and the Democrats are most likely to contact top income earners.” This was not always the case - the rate at which the Democratic Party reached out to high income voters increased nearly four-fold between 1980 and 2004. In 2004, high income Americans were nearly three times likely to be mobilized by the parties, likely a significant contributor to class bias in turnout, which has dramatically shifted policy in favor of the rich. It’s not just parties that would have more incentive to target voters: labor unions, advocacy organizations and mass participatory groups would have a new pool of Americans to try to win over. Politicians would be forced to pay attention the concerns of the millions of Americans who are currently denied political voice.